Who knew this could happen? This cardinal is both a male and a female. Bird Ready(TM) is wholly owned by the Best Nest of Georgia, Inc. We are heavily invested into introducing products that help you enjoy backyard birding. We invented the Sugar Shaker Nectar Maker(TM) that creates hummingbird nectar in under 30 seconds. We brought all natural Squirrel-Slip to our Amazon audience, and we own a Wild Bird Center in NE Atlanta. 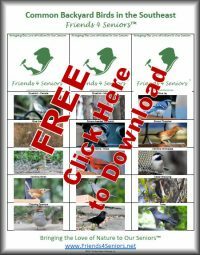 Bird Ready(TM) is your backyard bird expert! Come try our products, you'll be glad you did.